Unofficial citra builds aren’t supported. 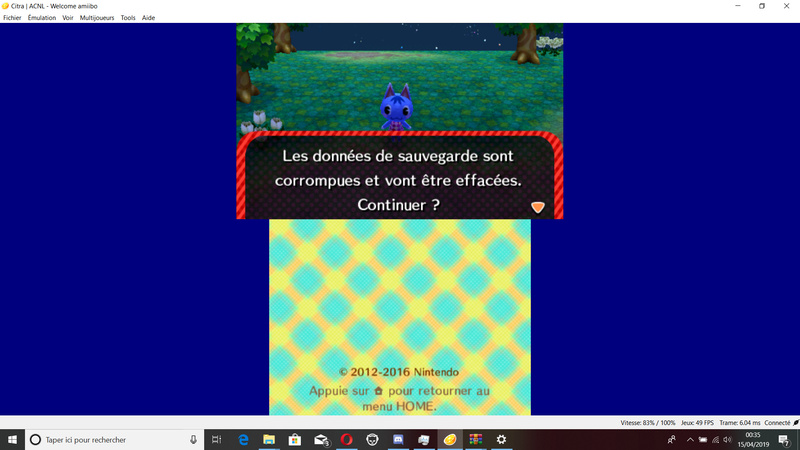 i just mean if i recall correctly (iirc), you should be able to create a new save if you delete your previous save first. open citra and create a new game, it shouldn’t bother you with corrupted data. be careful to not delete other folders otherwise you may lose other savegames. thank you thanks to you I can finally save, on the other hand is that from now on, is it possible that I can take the save and modify without error or better than I take a save from a download and I replace this- ci by the current, I ask you because I prefer not to start again the dictaticiel for the 5th time, thank you for giving me a detailed answer from you. from a download, i’m not sure. but you should be able to edit your own town save without issues. i’m not sure what you are asking for, but you can always just search online for save games. you can also use the save editor i mentioned above, with it you can unlock pretty much everything.